Hope everyone had a great half term break. A few things to mention this week. IMPORTANT - RAFFLE Please make sure you get your raffle tickets and monies handed back in asap. Draw takes place Friday 7 March at the next home Jets game. Get them to me or your team admin asap. We also have a few club fees outstanding, which we'll chase individually now. CHARITY COLLECTION -We're supporting Net10, which England Netball are doing to support Cancer Research. Details on our website. Please bring an extra pound to your next match and the captain or admin will collect our contribution. I'll let you know what we raise. PERFORMANCE - see results on news page. Our WY senior team have continued their winning ways, with victories in both recent matches. All four u11/u12 teams played today, both u12 teams won and u11a won, u11b unfortunately lost today. Premier team had a long drive to Cheltenham and lost by 10. JETS - given so many of our club members play for both Superleague and NPL teams, it's worth us noting performances and upcoming matches. 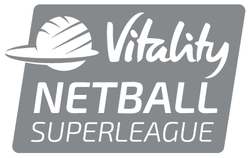 Two fab victories yesterday, NPL by one goal at Team Northumbria, and SL got a great win away at Hertfordshire Mavericks. Well done.....keep those wins coming, Next Jets and NPL matches this coming Friday at LMU, including our raffle draw, let me know if you want tickets. KIT - Where people have orders additional kit, please bear with us as supplies are not arriving quickly.